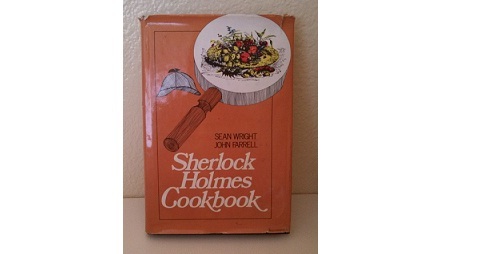 I found the Sherlock Holmes Cookbook from the seventies and thought I would try some exciting recipe. However, I changed my mind after having looked through the recipes. I must say that British food is not my favorite (sorry!) other than fish & chips (of course!). The fact that the recipes are inspired by the late 1800s does not make it better. I do not feel like having Ham and Tongue Souffle, Marrow Bone, Pie (with eel, dove or kidney) or Leftover Meat Surprise. I also found a recipe for Swedish Salad but became suspicious when the ingredients are roast beef, pickled herring, potatoes, apples, beetroot, gherkins, capers, chervil, eggs, anchovy, oysters, oil, vinegar, salt, and pepper that you serve with sour cream.